The Darmstadt theme of LaTeX's beamer class produces color transitions/shadings (?) in the header part, which I find not very nice in certain color combinations. Is there a way to produce clear cuts between the three horizontal areas? \item What can I do about it? 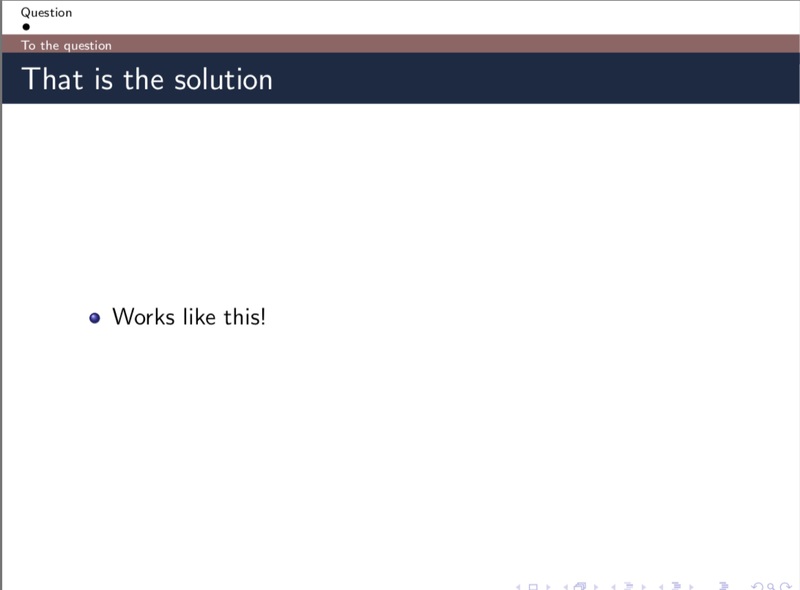 Solution (with help from @samcarter): Use the miniframes outertheme. I also edited the pgfdeclareverticalshading for the transition to the main part of the frame. Not the answer you're looking for? 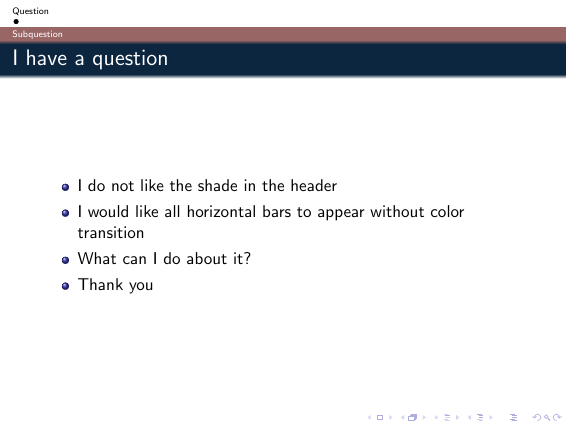 Browse other questions tagged beamer color themes shading transition or ask your own question. Remove section header from a beamer theme (Singapore)?